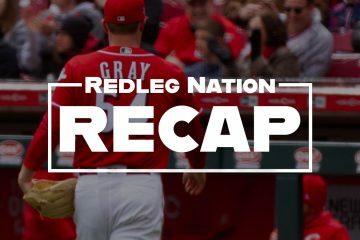 Can the Reds “Stars and Scrub” their way to the 2019 Postseason? In addition to my recent proclivity for Hawaiian shirts, I’ve also taken a fancy to obscure Minor League baseball jerseys. I mention this solely because scrolling through pages and pages of eBay auctions looking for the perfect blend of absurdity and savvy design has reminded how beautiful the sport of Minor League baseball is. You have cheap tickets, cheap concessions, and cheap gimmicks. It’s simple baseball, good but not great quality of play but perfect for a Tuesday evening out. But there is one thing that the Indians share with most Minor League teams: For every one player on the team worth his salt, there’s five more scrubs who are just names to fill white space on a lineup card. With two Cy Young contenders, an MVP contender and another guy who will get votes, the Indians have as stacked of a roster as anybody in MLB. They’ll easily cruise into the playoffs thanks to the AL Central, but their game plan got me wondering….could the Reds do the same? With bona fide superstars Eugenio Suarez and Joey Votto already on the roster, I figure the Reds could maybe sign another big name and ride out their various levels of talent elsewhere to make the playoffs. It’s a big if, but conceptually there’s reason to believe the Reds could do it. To establish the feasibility of the Reds riding a Stars and Scrubs mindset into the 2019 postseason, we first need to find one little ratio. How many stars do you need to offset the scrubs? Star: Any player who posts a season bWAR of 4.5 or better. For this exercise, we’ll use any player currently above 4.0 as adding another 0.5 over the the remaining two months should be plausible for this caliber player. Scrub:Ã‚Â Any player who posts a season bWAR of 1.0 or less. For this exercise, we’ll stick with the 1.0 cutoff as players of this caliber tend to fluctuate and assuming additional WAR doesn’t always make sense. As you can see, there’s a decent gulf between a Star and Scrub, into which most MLB regulars fall. These are players that contribute to the team but won’t break the bank on the free agent market. They’re not expendable but not untouchable either. The Indians have exactly four of these players. Mike Clevinger (3.6 WAR): In all likelihood a future Star, Clevinger just missed the cutoff. He’s a solid No. 2/3 pitcher and gives Cleveland one of the more fearsome playoff rotations. Carlos Carrasco (2.5 WAR): Once one of those fringe ace candidates, Carrasco has fallen off a bit but makes for a solid No. 4. Michael Brantley (1.2 WAR): Now on the Scrub end, Brantley is confusing because he looks a lot better than he is. Go figure. Yan Gomes (1.1 WAR): Definitely a Scrub at heart, but overachieving enough to miss the designation. Jose Ramirez (7.2 WAR): He’s challenging Mike Trout for MVP honors. He’s surpassed the Star label for demigod. Francisco Lindor (6.9 WAR): Were he to be in the NL, he’d probably be running away with MVP honors. As is, he’s an afterthought. Trevor Bauer (5.5 WAR): The most analytically savvy baseball player has also turned into one of the game’s best pitchers. But don’t forget that long toss hurts your arm, or something. Corey Kluber (4.8 WAR): Ah, how nice it must be to have Corey Kluber on your team, but as your No. 2 starter. Four stars, two contributors, two super Scrubs, and 17 names I’ve already forgotten make a playoff team apparently. So what do the Reds have? 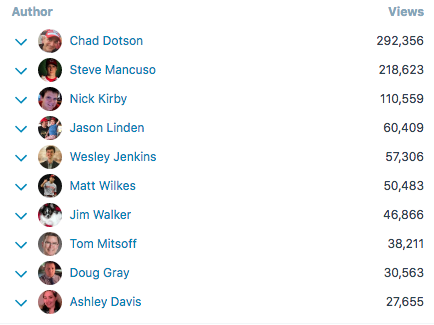 One star (Eugenio Suarez), four contributors (Joey Votto, Scooter Gennett, Jared Hughes, Scott Schebler), five super Scrubs (David Hernandez, Tucker Barnhart, Raisel Iglesias, Jose Peraza, Michael Lorenzen), and then everyone else. It’s, uh, not looking good for the good guys on ability to copycat the Indians next year. And yet, Votto could return to his usual MVP level making two Stars. The Reds could sign a frontline starter making three Stars. And the various contributors and super Scrubs could up their play enough to compensate for the one fewer Star than the Indians. But by that point, it’s not even a Stars and Scrubs mindset, just a normal, balanced ballclub. The feasibility of the Reds Stars and Scrubsing their way to the playoffs next year is nil. The Indians lineup has Stars of the highest magnitude, whereas the Reds’ Stars don’t quite burn as bright. This isn’t to say the Reds are bound to miss the postseason next year. It’s just to say relying on Suarez and Votto won’t get the job done. Prospect to Watch:Ã‚Â People tend to overlook Marlins’ prospects because frankly, they’re bad, but Nick Neidert could be the exception. He has a 2.95 ERA across 21 starts in AA and is striking out 9.43 batters per 9.0 innings. He’s not a power pitcher by any means so his ceiling is probably a No. 3 starter, but for fantasy purposes, he could be worth a stash. The Marlins are a dumpster fire after all, so he’ll get his shot sooner than later. The slow climb to 100,000 continues for Author Views. 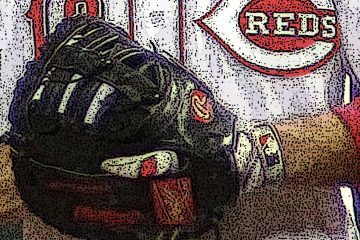 I would appreciate it if you also check out my column from yesterday about Reds’ 2019 Trade Value and encourage you to argue with me in the comments. Be warned though, you better come with good reasons and numbers because I do not yield easily. What Should the Reds Do With Billy Hamilton in 2019? Yes. The Reds need two more stars. But not just any star. They need a #1 and a #2 pitcher. That would give the Reds the balance they need. Actually, the 8 regulars, with the youngsters rotating in, give the Reds more than a good enough lineup, despite any fielding lapses. It’s still pitching, pitching, and pitching in baseball.. And the Reds need two prime starters beyond Castillo. Without two new reliable starters, the Reds ain’t going nowhere in the division. That says mostly what needs to be said. Having Bauer and Kluber is just huge. Then there’s their two position-player superstars, either would be not only possible but likely MVPs in the NL. If you’re gonna play ‘stars and scrubs’, that’s how you need to do it. 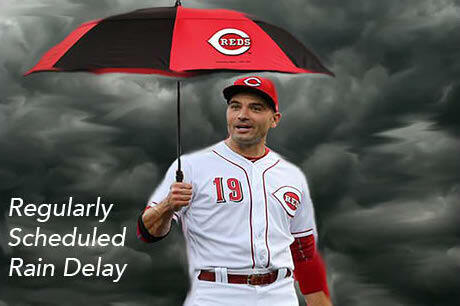 I think the expectation is that Votto’s star is or will be falling even if it is gradual and relatively pain-free. So another bonafide star bat and a bonafide #1 or #2 are necessary. I live in Miami so thanks for the Marlins prospects report. It was a bit sobering to me to realize the Reds might be within a season of being as good (or better) a team without Joey Votto on the field as with him on the field. Sshhhhh! There are a 132 million reasons to keep that on the down low. Winker and Senzel? They could be stars, right? Still can’t believe the Reds missed out on Yelich…. Health questions right now about both Winker and Senzel; so the operative words are “could be”. Check back this time next year when hopefully both of them will be having highly productive seasons not limited by injury issues. The Reds are only a bus ride or flight away from the postseason….that and 25 tickets on StubHub. Lucas SIms….2.77 era and 89 Ks in 78 ip at AAA. Minor star maybe? With a front office of astroids….that’s the best they can do. Sims was the Braves #1 prospect at one time. Are there many people that realize that the Reds have a LH starting pitcher with a 14-3 record in the minors? And his team is 18-3 in his 21 starts this year. Scott Moss at A+ Daytona. In his last 13 starts, he is 11-1 with 1 no decision, 73.2 IP, 67 H, 24 R, 20 ER, 8 HR, 21 BB, 60 K. That is getting it done. He is 30-10 in his pro career. But he is doing it oh so quietly. Not much buzz about him. He has work to do to improve upon his BB/9 and HR/9 and his 3.69 ERA, 4.32 FIP and 3.95 xFIP this year. He is just a step behind Gutierrez and Santillan in that next wave of pitching. Moss should be up near the top-10 prospects at season’s end, solidly in the top 15. Just goes to show how far the “Win” has fallen in analytics…and rightly so. Had UCL surgery so was a steal in the draft as well. He got off to a later start due to that. I don’t see him as a top-of-the-rotation guy but I think he could be a #3 or #4 that keeps you in about every game he starts. I wonder if contenders with recent bullpen issues regret not giving up a couple of top prospects for Iggy prior to the deadline now? See Dodgers with Jansen, Nats- Doolittle, Braves- Vizcaino, etc. You can write all you want but until this team gets a legitimate staff of starting pitchers they are going no where. They can start this off season by signing Dallas Kuechel. Lineup wise, yes they definitely can. Rotation wise, absolutely no. Needs AT LEAST two starters this offseason. Trade for one (Syndergaard, Bundy, Duffy) AND sign one (Estrada, Eovaldi, Gio Gonzalez, Happ, Morton). Then there is a chance the Reds could shoot for a playoff spot. If they don’t, then .500 is more likely and should be considered a banner year with the current rotation. Unless the Red’s front office makes a real attempt to bolster the starting pitching staff, the Reds in 2019 will again be looking up from last place in the NLC at the playoff teams. Wesley you are being downright prolific lately… Ok, well, over the last 2 days.